Products & Services | Home Technology Solutions, Inc.
Our HomeSafe Landline Standard System uses your existing landline and includes a Help Button, a Communicator, and 24/7 access to our HTS Response Center. You can choose a Help Button pendant to wear around your neck; or, if you prefer, a wristband style Help Button. 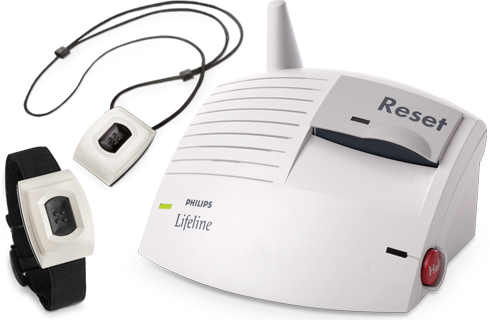 Our HomeSafe Wireless provides the same medical alert service even if you don’t have a home phone line. It includes a communicator, a help button to wear around your neck or wristband, and 24/7 access to our HTS Response Center. The HomeSafe with AutoAlert pendant can automatically call for help if a fall is detected and you are unable to push your Help Button. It detects greater than 95% of falls. The HomeSafe with AutoAlert System includes a Help Button pendant, a Communicator, and 24/7 access to HTS Response Center Associates. Feeling safe shouldn’t be restricted to your home environment. Ideally, you’d like to feel safe and secure wherever you might be! Whether that’s walking to your mailbox or going on vacation, feel confident with 24/7 access to help at home AND outside on the go with GoSafe. 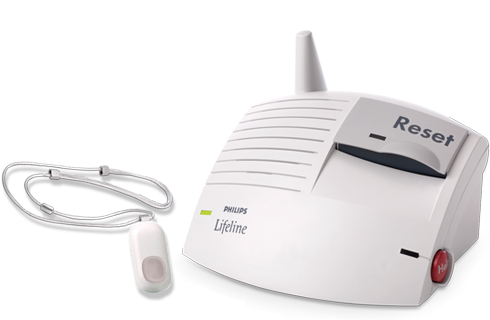 Our GoSafe System includes a GoSafe pendant with two-way voice communication & AutoAlert fall detection, a Communicator with GPS & WiFi to help locate the user in a variety of situations, and 24/7 access to our HTS Response Center. 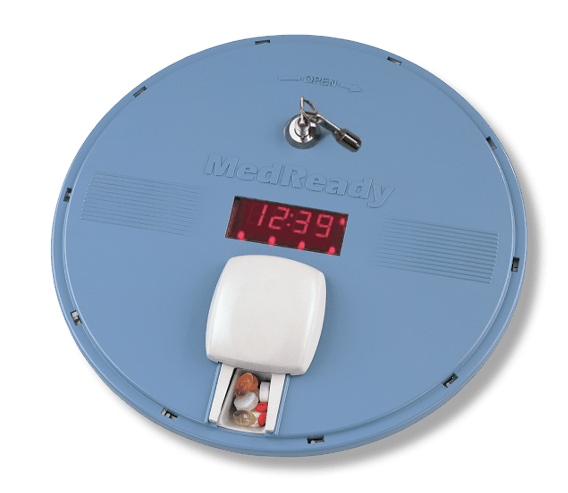 Our MedReady Automated Medication Dispenser, available with GSM cellular compliance monitoring, has a timed alarm system that provides your next dosage immediately. It also holds up to 7 days of 4-times a day dosing and you can receive compliance notifications via email, text and/or automated phone calls. Large 1/2″ LED displays the time and aides setting alarms. MedReady holds 28 doses of dry medication such as pills or capsules. Compartment divisions keep medication in place even if the unit is turned upside down. An AC power cord provides continual power supply. 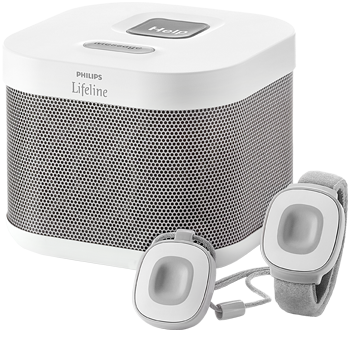 Also includes a 48-hour rechargeable battery back-up for travel or power failures. Early dosage feature allows removal of medication prior to scheduled times. The subscriber wears a waterproof personal help button on a neck cord or wristband, whichever they prefer. When they need help, they push the button which sends a signal to the communicator which dials the Response Center. The Response Associate will talk through the communicator to the subscriber, ask what help they can provide and do as the subscriber requests. If there is no voice response with the Response Associate, a phone call will be made to the subscriber’s home. If the telephone is NOT answered, the Responders (family member, friend or neighbor) will be contacted. If none of the responders provided by the subscriber is available to provide assistance, the emergency services will be dispatched to the home. When you press your Help Button in range of a Communicator, the Communicator dials our Response Center. Provides quick access to help 24/7. Voice amplification on the Communicator’s speaker lets you hear conversations more easily and enables our Response Center to hear you from almost anywhere in your home. Come to the HTS office to learn how to install your communicator at no charge. When you plug in your Communicator and press the gray Reset Button, the Communicator walks you through the home installation process. Also, Professional Installation services are available at a fee. Up to 30 hours of battery backup ensures you have access to help even during power outages. In addition to the personal emergency response system that HTS offers, we feel it is important that you and your family have as many resources as possible to aid independent living. Below is a list of useful resources that you can can download and use to help have a safe and fulfilling life. Is your service just for the elderly? No. We provide the service to the disabled, physical therapy patients, people with medical conditions such as heart problems, CHF, and diabetes, and persons recuperating from surgery. What happens if I send a help call and the Response Center can't hear me? If the HTS Personal Response Associate doesn’t hear you through the highly sensitive microphone or if you cannot speak, HTS will call your home phone. If the phone is not answered, we will begin calling your responders. What if I move to a different home or apartment? Please let us know prior to moving and we will work with you to make the change. What if I spend part of the year in another home? We can do this too! Just call the HTS office to make arrangements. Can HTS be used with my internet service? Most likely, but please discuss your Internet and phone service providers with HTS staff members at the time of inquiry to ensure correct equipment for your home. Who is involved in installing the HTS devices? A member of the Home Technology Solutions, Inc. team will come to the home and install the equipment. Our highly skilled installers have decades of experience between them, which allows them to ensure your comfort and knowledge of the HTS service before leaving your home. They will install the HTS communicator, perform a range test in your home and around the perimeter, and will test your button with you to ensure your familiarity with the Response Center. Do you offer assistance to those who cannot afford your service? Yes. The service may be covered by the Medicaid Waiver for those who are approved by their caseworker. Currently, Medicare does not cover the cost of the service. Some Long Term Care insurance policies may cover the service. Funds may be available for those who qualify for Home Technology Solutions, Inc. donor-supported Indigent Subscriber Fund. 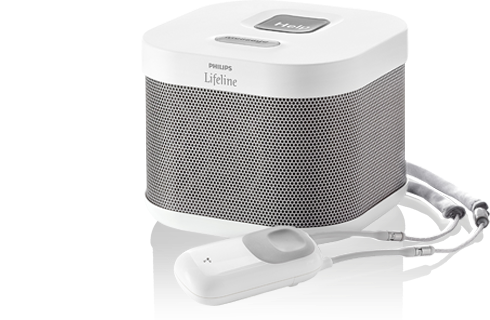 © Home Technology Solutions, Inc. All Rights Reserved.